We’re kicking things off over at boxparkshoreditch where we’ve been spending a lot of time over the last few weeks. Launched by sister and brother team, Joo Lee and Sukho Lee, KORRITO brings the sizzle of Seoul to Shoreditch and beyond. Offering mouth-watering, authentic Korean BBQ burritos, rice bowls and salad boxes, they are committed to making delicious food with only the highest quality ingredients. Their BBQ is marinated using authentic, traditional Korean ingredients and the Kimchi is packed full of natural probiotics to help boost digestion! Check out KORRITO’s profile here. With a plethora of tempting flavours including coconut, passion fruit and lychee as well as distinctive tapioca ‘bubbles’ (made naturally believe it or not!) bubble tea has quickly become THE drink of choice in Taiwan. Milk Tea & Pearl is the first company in London completely dedicated to creating authentic Taiwanese bubble tea and has been hydrating Londoners with their delicious tea since 2010. 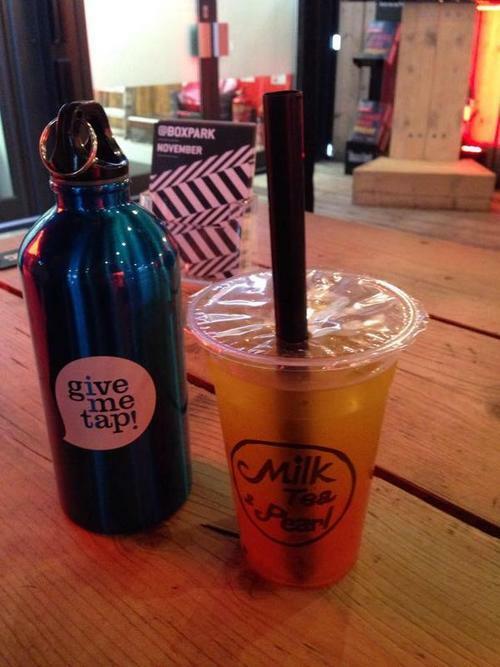 Check out Milk Tea & Pearl’s profile here. Dum Dums Donutterie offers a selection of freshly BAKED (yes, it’s possible!) handmade and significantly lower fat doughnuts. Paul Hurley, the founder of Dum Dums, is an artisan doughnut chef who has been making doughnuts since 1997. After working with some of the biggest names in the doughnut and food industry he began a quest to create the best doughnut in the world. In 2013, Paul realised that the only way to create the best doughnut possible was to do it himself. In doing so, he opened the Dum Dums Donutterie, the first ever Donutterie and hasn’t looked back since! 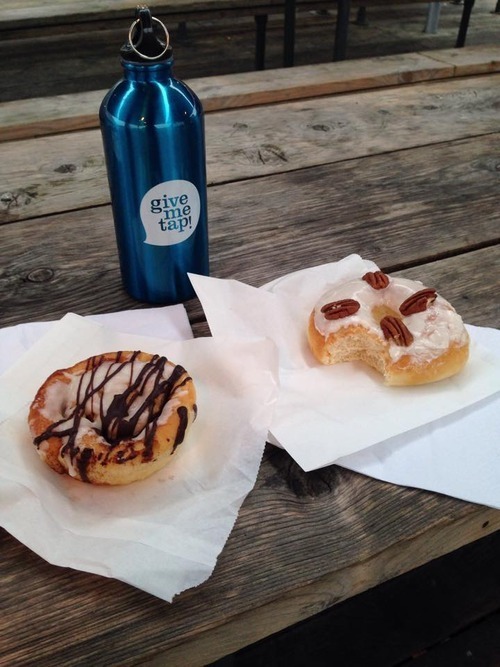 Check out Dum Dums’ profile here for you free water refills. 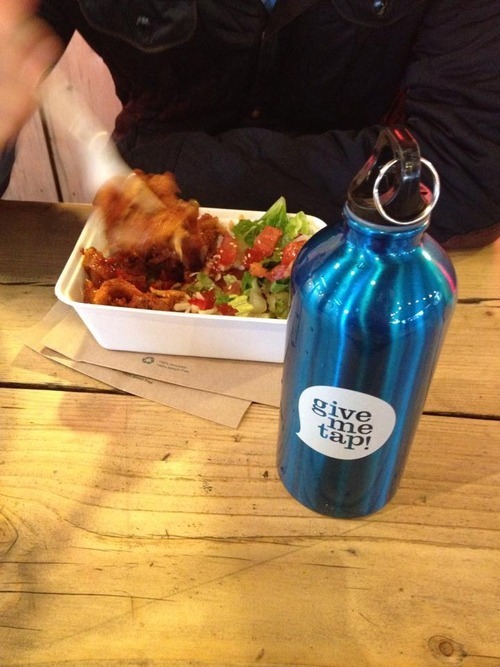 Don’t forget to download the GiveMeTap iOS and Android apps to get your free water refills on the go! Part 2 of our boxparkshoreditch series will be out this time next Wednesday.